Our office is equipped with an ICAT CT which is a 3D Image of the teeth and bone to insure that the implants are placed in the optimal position based on the quality and quantity of bone. 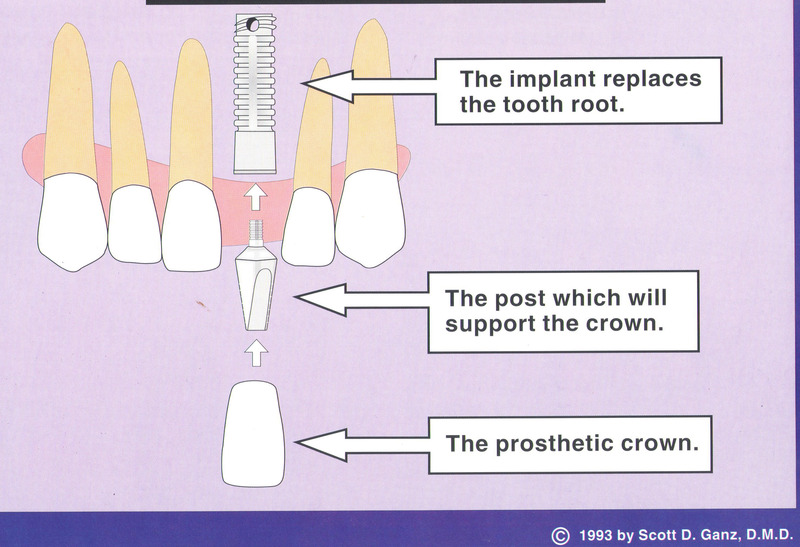 A post is screwed into the implant and a crown is cemented onto the post. Choosing a highly skilled Prosthodontist (Cosmetic Specialist) can be the difference between getting the smile you want and a serious disappointment. If you are seeking cosmetic or reconstructive dental work, you should do research before making a decision in order to ensure proper care. As ADA recognized specialists, Prosthodontists are qualified to offer service in state-of-the-art procedures and technique. Some materials and methods are superior to others. A dental reconstruction may seem aesthetically pleasing, but if it is constructed with substandard materials and/or methods the long term prognosis of the restoration will be compromised. Many providers are able to reduce their fees by utilizing methods, materials and components that are quick and reasonable. Dr. Kaplan’s attention to detail and focus on reliability ensures that his work is not only aesthetically pleasing but also long lasting. Using our cutting edge technology can assure that you get the smile you always dreamed of. Your dental reconstruction is an investment ………………..do it right the first time! Dr Kaplan’s dual certification in Prosthodontics and Surgical Placement of implants allows him to offer his patients in Morristown, Mendham and Randolph comprehensive treatment plans rather than referring them out for portions of the procedure thus providing the patient with the convenience of one location for care . Our wide range of specialty care includes veneers, crowns, bridges, partials, dentures and dental implants. Most dental implant procedures require multiple visits to multiple specialists adding cost to each stage of the dental implant process. In our office in Morristown, we have one dedicated team that works together, to serve Morristown, Mendham, and Randolph with complete and comprehensive treatment in a cost effective way. Dr. Kaplan focuses on the color, shape, balance and translucency of all implant crowns. Prosthodontists will have a more in-depth understanding of dental laboratory procedures and how implant crowns can be used to improve esthetics as well as form and function. Anterior (front) implant crowns require special considerations in comparison to posterior (back) implant crowns as there are different forces at play in different areas of the mouth. Esthetics and cosmetics are of the upmost importance in the front of the mouth. Natural front teeth often exhibit many different shades that vary from person to person. 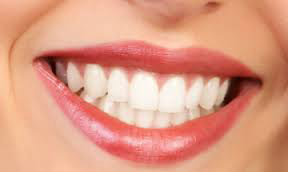 At Morristown Prosthodontics and Implant Dentistry, we custom match all of our crowns to the exact shades of each tooth so that they blend in nicely with the surrounding teeth. This allows the crowned teeth to blend in with the rest of your smile. More than half of todays population is affected by the loss of one or more tooth. Loss of a natural tooth can be traumatic and affect your outlook on life, both personally and professionally. Missing front teeth leave some people embarrassed to smile. Perhaps you have trouble chewing and dentures are a constant worry. Dental Implants solve these problems and restore confidence and comfort. In addition, dental implants can help preserve facial bone structure, preventing the bone deterioration which occurs when teeth are missing. Your missing teeth can be replaced with crowns, bridges and full or partial dentures. Another more permanent solution is dental implants. Implants can also be used together with other dental procedures for greater effectiveness. For example, while a dental implant can be used to replace a single missing tooth, it can also be used to support a dental bridge or a set of upper or lower dentures. Each option has its pros and cons, depending on the health of your teeth and your budget. Dr. Kaplan with over 23 years of experience will evaluate your teeth and gums and help you choose the option that will work best for you. A dental implant is a permanent artificial tooth root placed into your jaw where there are missing teeth. They look and feel like natural teeth and help prevent bone and gum damage caused by missing teeth. The implant itself is a man made root post (titanium screw) that is placed into the location where the tooth/teeth are missing. Bone will attach to the implanted root and fuse, usually taking a few months. When the tissue and bone have healed, a custom made replacement tooth (crown) will be attached to the implant. Once the crown is in place, you often cannot distinguish it from your natural teeth. Dental implants are the most comfortable, beautiful and cutting edge solution to the problem of missing teeth. They are the next best thing to real teeth. Whether it is a single tooth, several teeth, or all the upper and lower teeth that are missing, implants may be the best option for realizing a comfortably functioning smile again. Dr. Kaplan is a certified as a prosthodontist and implant surgeon and is qualified to do all the work himself in his state of the art facility, and does not have to refer you to another dentist at any time during the process of implant dentistry. Implants keeps you looking younger by preventing shrinkage of the jawbone or facial collapse caused by missing teeth. Crown & Bridge and full or partial dentures, address the short-term cosmetic problem of the missing teeth, but do nothing to stop the bone loss. Implants look, feel, and act like your natural teeth and restore the ability to chew properly, allowing a complete and healthy diet. They are secure and do not slip or shift when you speak and eat like full and partial dentures. Complete and partial dentures can be cosmetically pleasing, however, most people find the appliances difficult to adapt to and uncomfortable to wear due to the bulk of the metal and acrylic and the unsightly clasps necessary to stabilize the prosthesis. Implants are permanent; you never take them out like dentures or partials. They cant be misplaced. No one will ever know that you have a replacement tooth. Dental implant restorations do not decay. Implants, unlike bridges, allow you to replace one or more missing teeth without grinding down of healthy teeth on each side of the gap for abutments. Crown & Bridge require that two or more healthy teeth be ground down to serve as abutments (anchors) for a bridge, leaving them at a much greater risk for cavities and endodontic failure. Implants are cared for in the same way as your natural teeth. A bridge cannot be flossed, you must use other aids to clean it. Dentures and partials need to be removed at night and sometimes require costly glues and pastes. Implants typically last much longer than a crown and bridge and full or partial denture. Initial Consultation Dr. Kaplan will make a complete set of records so that a custom treatment plan may be presented to you. At that time, he will discuss with you whether you are a candidate for implant placement. X-rays and impressions (molds) are taken of the jaw and teeth to determine bone, gum tissue, and spacing available for an implant. Implant Surgery-The implants are placed under the skin and into the bone. The gum is closed and stitched over the implant and the implant is allowed to heal. Over the next two to six months, the implant and bone are allowed to bond together to form an anchor for your artificial tooth (crown). In a majority of the cases, a temporary treatment option can be worn over the implant site. Abutment Placement When the healing process is complete, a small incision is made into the gum to uncover (or expose) the implant. An abutment (or post) is then attached to the implant. The post becomes the extension to which a crown is attached. Crown Placement Finally a replacement tooth called a crown will be attached to the abutment. Now the implant looks feels and functions like a natural tooth. The total process tends to take about four to seven months. Occasionally, a bone or gum tissue graft will be needed to provide an adequate site for implant placement. The implant is then placed in the bone and given a period of time to heal (osseointegrate) before attachment of the abutment and crown. The final crown is usually placed 3-6 months after implant placement. In some cases, you can receive a temporary crown the same day. As with all our dental services, youll be treated with the nurturing care and professionalism that embodies Dr. Barry Kaplans practice. Well make sure that youre kept comfortable and informed throughout the implant process and will always be available to address any questions or concerns. WILL I HAVE TO TRAVEL TO DIFFERENT OFFICES FOR EACH OR ANY STAGE OF MY IMPLANT TREATMENT? 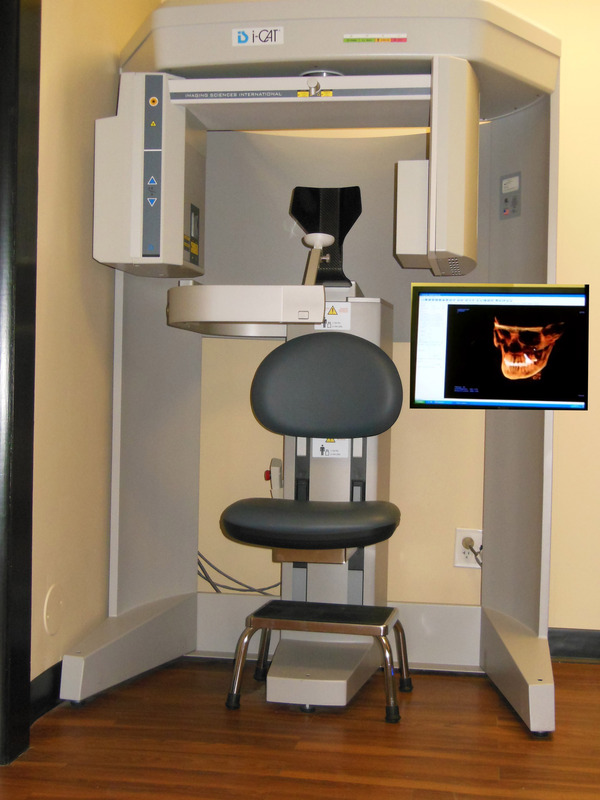 The entire implant treatment plan will be completed in Dr. Kaplan’s state of the art office. Dr. Kaplan performs the implant surgery and then completes the implant treatment by placing the final restorations. Dr. Kaplan is certified as a Prosthodontist and implant surgeon. Anyone who is missing one or more teeth. Dental implants are appropriate for patients with sufficient jaw bone material and who are in good to moderate health. They are generally not recommended for smokers. Smoking increases the likelihood of rejection of the implant. Dental implants are not usually used in adolescents until they have reached their full expected height. Every patient is different and patient results may vary. Dr. Kaplan is well qualified to evaluate whether dental implants are a viable solution for you. Older patients are often concerned that they are to old to undergo implant surgery. However, health is more of a determining factor than age. If you are healthy enough to have a tooth extracted, youre probably healthy enough to receive dental implants. Certain chronic diseases contraindicate dental implant treatment. Some people who have lost bone in their jaw still can have dental implants by having a bone grafting procedure. Every patient is different and patient results may vary. Dr. Kaplan with his advanced specialty training will determine if youre a candidate for dental implants after careful evaluation of your dental & health history. He will explain the benefits and risks to see if tooth replacement with implants is right for you. If you are missing a single tooth, one implant and a crown can replace it. A dental implant replaces both the lost natural tooth and its root. When a person is missing one tooth there are two options for replacement; a single tooth dental implant or a three unt. This eliminates the need for a temporary removable prosthesis.. A bridge requires that the teeth on either side of the missing tooth be prepared (cut down). Dental Implants do not require any compromise to the teeth adjacent to the missing teeth or tooth. Because a dental implant will replace the tooth root, the bone is better preserved. With a bridge, some of the bone that previously surrounded the extracted tooth to be replaced begins to deteriorate (resorb). Dental implants integrate with your jawbone, helping to keep the bone healthy and intact. Furthermore, gums can recede (shrink) around a bridge, leaving a visible metal base (collar) exposed. This can lead to an unattractive smile. Additionally the cement holding the bridge in place can wash out, allowing bacteria to decay the teeth that support (anchor) the bridge leaving them at a much greater risk for cavities and endodontic failure. Losing one or more of your teeth can cause a gap in your smile, the loss of chewing function and the inability to eat a complete diet. While these are certainly serious issues, a potentially bigger problem lies hidden beneath the surface: bone loss. Without the tooth to stimulate the jaw, the bone beneath it will begin to shrink (atrophy) in the same manner that muscle underneath a cast gets smaller. Since your facial bone supports the skin and muscles on top of it, losing volume can cause your face to look prematurely aged. The cheeks become sunken and you get what is referred to as witches chin. The good news is that dental implants offer a solution to stop bone loss. Dental implants transmit chewing forces to the jaw, stimulating it and halting the bone loss associated with missing teeth. A key to implant success is the quantity and quality of the bone where the implant is to be placed. Before dental implant surgery, bone grafting is sometimes necessary to build up bone in the patients jaw so that implants can anchor firmly. Various techniques used to create sufficient bone have been performed successfully for many years and are fundamental to the implant cases. These techniques include socket preservation, ridge augmentation, and sinus grafts. A patients need for bone grafting may become apparent at the time of their pre-surgery X-ray. Sometimes, inadequate bone volume is not discovered until the dentist actually begins dental implant surgery. In this case, the dental implant procedure will be halted and bone grafting will take place after the patient has agreed to the procedure. Socket preservation-Sometimes when you lose one or more teeth, you can get an indentation in your gums and jawbone where the tooth used to be. This happens because the jawbone recedes when it no longer is holding a tooth in place. Not only is this indentation unnatural looking, it also causes the replacement tooth to look too long compared to the adjacent tooth. Another implication is that there may not be enough bone to support an implant. Dr. Kaplan is trained and experienced in grafting bone to safely and permanently secure the implant. Whenever Dr. Kaplan extracts a tooth, he will determine if bone grafting is needed to be placed into the socket or the hole that the tooth has left. The materials used for this process will stimulate the surrounding bone to form new bone, which will then allow the placement of a dental implant. Without grafting, the bone collapses in the extraction site and patients who later request the option of a dental implant in the extraction site will have to go and get more aggressive bone grafting where bone is taken from different sites of the body. If you need an extraction Dr. Kaplan recommends that you use bone grafting into the socket so that it gives you the option of doing dental implants later on. Ridge Augmentation-When an area has been missing a tooth either as a result of previous removal or failure for a tooth to have developed, the bone volume may be inadequate for implant placement. Not only does this deformity cause problems in placing the implant, it can also cause an unattractive indentation in the jaw line near the missing teeth that may be difficult to clean and maintain. To correct this deformity, the gum is lifted away from the ridge to expose the bony defect. The defect is then filled with bone or bone substitute to build up the ridge. In these instances, the required amount of bone can be created by borrowing bone from other areas of your mouth or body. Alternatively, a number of bio-compatible materials alone or in combination can aid your body to produce new bone. The bone usually will need about four to twelve months to develop before implants can be placed. In some cases, the implant can be placed at the same time the ridge is modified. Ridge modification can enhance your restorative success both esthetically and functionally. Sinus Grafts-The upper back jaw has traditionally been one of the most difficult areas to successfully place dental implants due to insufficient bone quantity and quality and the close proximity of the sinus. This deficiency can be corrected by raising the sinus floor and placing bone graft materials into a portion of the sinus, thereby creating the quantity and quality of bone necessary to support an implant. Depending on your individual needs, the bone is usually allowed to develop for about 4 to 12 months before implants can be placed. After the implants are placed an additional healing period is required. In some case, the impant can be placed at the same time the sinus is augmented. The fees for implant treatment varies depending on the complexity of the procedure, the number of teeth being replaced and the number of dental implants required to support your replacement teeth. Some additional procedures may be required prior to the placement of your dental implants to ensure the long-term health of your dental implants. To obtain a specific fee estimate, it is necessary to have Dr. Kaplan examine your mouth. Some dental insurance plans cover a portion of the fee, but most do not. Typically, Dental implants have a higher initial cost than, Crown & Bridge and Full or Partial Dentures. However, dental implants usually have a lower lifetime cost. The long term costs of adhesives and relines associated with dentures can exceed the fee of dental implants. Implants prevent further complications such as tooth drifting and bone loss. Your treatment is a valuable investment to your health and well being. Our office will strive to make your dental restorations affordable by offering a variety of payment options, as well as offering lower cost implants for patients needing multiple implants. This makes good financial sense, considering that implants help maintain bone and protect your youthful appearance.